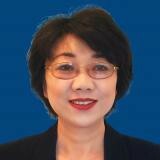 Jessica Chen is a Senior Vice President in Citigroup’s Independent Compliance Risk Management Group responsible for BCBS 239 compliance assessment with 20 years of experience in Financial services. Prior to joining Compliance group, Jessica was an audit manager at Citi Internal Audit, leading audits and risk assessments in Citi’s enterprise data governance and quality management. 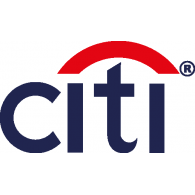 Before joining Citi, Jessica had held management positions in data and technology audit function in financial and pharmaceutical industry; she also had led a technology group at Merrill Lynch providing IT support for the firm’s Global Custody business through developing and maintaining IT applications across a diverse domain of system architectures and technology platforms. Jessica earned a Ph.D. degree in biochemistry, and she lives in New Jersey with her husband George and two children: Annie and Charles. Check out the incredible speaker line-up to see who will be joining Jessica .